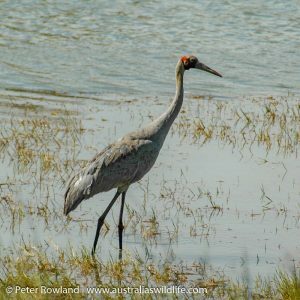 The most common and widespread crane in Australia is the Brolga Grus rubicunda, a breeding resident that also occurs in Indonesia and PNG. The Sarus Crane G. antigone is more restricted. Both are tall grey birds, with long legs and red heads.